Bantam Spectra published an anthology novel in August 1995, Tales from the Mos Eisley Cantina, comprised of many short stories featuring background characters found in the Mos Eisley Cantina. Interestingly, earlier that year in January, the 2nd issue of Topps' Star Wars Galaxy Magazine published an 8-page story Tales From Mos Eisley: Heggs' Tale. 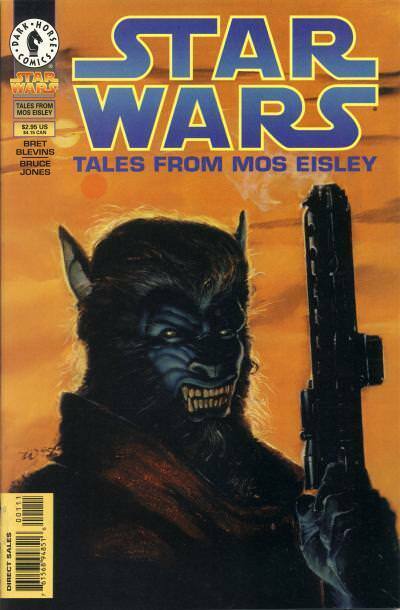 This 8-page comic along with the 8-page comic Tales From Mos Eisley: Mostly Automatic from Star Wars Galaxy Magazine #3 and another 8-page comic Tales From Mos Eisley: Light Duty from Star Wars Galaxy Magazine #4 are collected in the Dark Horse one-shot Star Wars: Tales From Mos Eisley. The anthology comic opens with Light Duty, the best of the three short stories reprinted inside. The tale begins as Garve approaches a table in Mos Eisley with Phlik, a Shistavanen and Corporal in the Rebellion. Phlik is complaining about needing a reserve force of at least twenty fighters when Garve opens a bag and spills coins on the table offering to buy Phlik a drink as he takes a seat. Garve then confesses to receiving the pay for two weeks of work for the Empire as a mercenary on a planetoid at a location called Jellyfish Cove. Garve is hired by the Empire to man a lighthouse on the edge of an ocean on the planetoid and told to stay inside at night and on foggy days. On the first day, Garve grows tired of watching the water and decides to explore the area around the beacon coming across a ruin with statues of beautiful women. That night, he is awoken to tapping at the lighthouse's large window and sees a beautiful woman outside, but is unable to let her in as he realizes he himself is locked in. The next day, he goes back to the ruins and spots an alien wearing an orange jumpsuit who runs away from him. He follows the alien and sees a group of the same species, also wearing orange jumpsuits, on the beach assembling a raft, but they disperse when the fog starts rolling in. Garve returns to the lighthouse and is visited that night by two beautiful woman tapping at the glass. He then sees a spacecraft land on the nearby beach and more orange suited aliens leave the craft as the two women head toward them. As the women near the aliens, they turn into jelly like creatures that engulf and kill the aliens. He realizes he is manning the beacon for a penal colony and "Jellyfish Cove" is named after these "women" who turn into creatures. The aliens wearing the orange jumpsuits are the prisoners being dropped off and the beacon is used to guide the ships to the location at night. The next day, Garve again visits the ruins, but a fog rolls in and the statues come alive, resembling the same beautiful women that Garve is visited by at night. He dashes back to the lighthouse and later a person approaches who looks like an Imperial soldier. Garve lets the soldier in and realizes she is wearing the outfit of a former guard of the beacon and turns into one of the jelly like creatures and attacks. Garve explains to Phlik he was able to kill the creature and when the next prison vessel arrived, he killed the guards and took their money, blew up the beacon, and used the prison ship to escape the planetoid. He then points to a group of aliens wearing orange jumpsuits outside the prison craft and tells Phlik these are his new reserve force. It is a decent horror story, melding a familiar location found in horror stories, a lighthouse, with science fiction elements. The painted cover artwork is a portrait of the Shistavanen Phlik. Sista Varningen or Last Warning is the fifth Star Wars album released by Semic Press for Swedish readers. The stories found inside feature the House of Tagge whose family members are antagonist to our heroes. They are from Marvel Star Wars #25, 26, and 31 - 34. The cover artwork is different than the artwork found on the U.S. covers and is done by the Swede Bjørn Morisse. Morisse was already an accomplished musician and cartoonist before he provided the artwork for this cover. As a musician he was a member of the band The Young Norwegians and he is best known for his comic strip Glåmrik. Glåmrik was published from 1972 through 1975 and revived in 1979. This comic strip about Vikings was abruptly ended with a strip that disturbingly suggested the American television mini-series Holocaust about Jews during World War II should be called "Judes on Toast", a mispelling of "Jews on Toast". The cover artwork looks like art that can be found in amateur indie publications. Luke Skywalker, C-3PO, and R2-D2 are in the foreground, near one of the conductor towers used for the Omega Frost weapon. Overhead are TIE Fighters and in the background is a visage of Baron Orman Tagge, the head of the House of Tagge. I'm not particularly keen on the artwork, although I do appreciate the detail put into it. Most importantly however, it is artwork that was not published in the U.S., so it is unfamiliar to U.S. readers. Interestingly, album #4 contained the Empire Strikes Back adaptation and this album publishes issues that were printed in the U.S. prior to the adaptation. 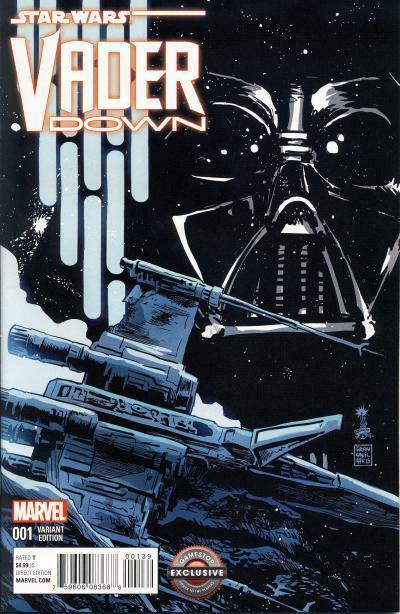 GameStop and it's overseas brand ZING Pop Culture both used the same cover artwork for the Vader Down one-shot. They repeated this with the first issue of the 4-part Han Solo mini-series. Han Solo #1 has 17 different covers. The GameStop PowerUp Rewards exclusive cover is in color and shows the Millennium Falcon participating in the dangerous Dragon Void Run race. An inset image shows that Han and Chewbacca are the pilots. The ZING exclusive uses the same artwork as the GameStop PowerUp Rewards cover, except it is in black and white and the logo has been replaced by the ZING logo. When you compare the two covers, it is cool to see how the colorist enhanced the explosion to obscure the debris and wing on the space craft behind the Falcon. There is a skeleton of some creature in the upper right hand corner of the art, but nowhere in the series do we see the skeleton making this a strange detail to be found on this cover. 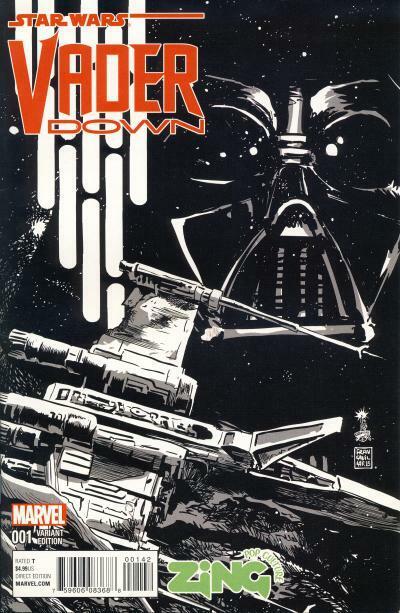 Marvel has published several modern Star Wars issues that have generated considerable enthusiasm in the Star Wars community. The story concerning Han Solo's "wife", Sana Starros, was an early example and was even picked up by non-comic news organizations. Marvel's latest endeavor is to have the original trilogy heroes travel to the desert moon of Jedha. This moon was the location of the holy city of NiJedha which was destroyed in the first test of the Death Star's superlaser. Upcoming events that are highly anticipated by fans include our heroes traveling to Crait, a planet in the upcoming The Last Jedi film, and Thrawn getting his own comic. It is easy to imagine, with the continual release of new movies, Marvel will have considerable success garnering devotees' attention because of the high profile the Star Wars brand has today. They can have the heroes from the three trilogies interact with events and environments from other eras. For example, I can see fan interest for Jedi from the prequel era having an adventure on Jedha. They also can introduce titles with fan favorite characters, such as the bounty hunters Boba Fett and Cad Bane. I also believe it is a matter of time before Marvel revives a character from their original Star Wars title. There was speculation concerning a return of Jaxxon, but it is clear Marvel sees Jaxxon as a character best relegated to humorous appearances on variant covers. Regardless, Marvel has a myriad of interesting characters that can be brought back. One character I think would be interesting to see return is Valance the bounty hunter. Valance was introduced in Star Wars #16 and appeared in several more issues before being killed by Darth Vader in Star Wars #29. Valance is a nuanced character; he first appears as an adversary to Luke Skywalker but eventually fights Vader to prevent him from learning the name of the pilot who destroyed the Death Star. Obviously, the character would need to be retooled slightly and his original story arc would not make sense, since in new continuity Vader already knows the name of the pilot. The bigotry against droids was rampant in the old Marvel title and Valance's origin as an Imperial soldier who was injured, made into a cyborg, and was therefore shunned by denizens of the galaxy would also need to be modified. (The irony here is the number two ruler of the galaxy, Darth Vader, is himself a cyborg but Marvel had no way of knowing that back in 1978.) A good writer could revamp these elements and modernize Valance for today's readers. 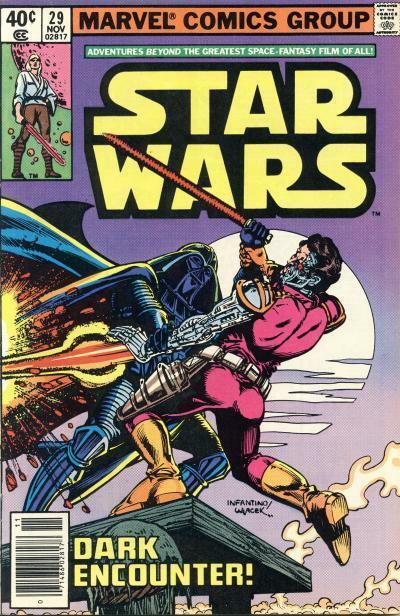 The cover for Star Wars #29, the final appearance of Valance, is not accurate to the interior pages. Darth Vader dispatches of Valance with relative ease and the cover implies Valance was a bigger challenge. The U.S. cover doesn't really place the combatants and it isn't clear from just the cover that there is an acidic lake beneath the structure they are fighting on. 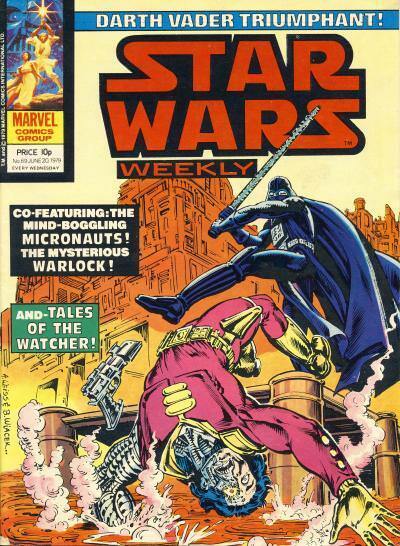 The cover for Star Wars Weekly #69 is also not how events transpire in the story. Valance does end up in the acidic Rubyflame Lake on the onetime resort planet Centares, but only after his "cybernetic hand clamps like a vise" to Vader's leg, he rolls off the pier to drag Vader into the lake with him, and Vader severs his cybernetic arm. Instead, the British cover shows Vader kicking Valance off the pier to his death in the lake. The decaying structures that once was a resort are shown in the background and all the background colors contrast nicely with the two characters. Vader is also more nimble on this cover which he demonstrates inside the issue. Both covers show Valance's uniform as purple, even though his uniform is blue inside and has always been blue in earlier issues. For the British cover, this can be forgiven because the interior pages are not colored. While I like the U.S. cover, despite the inaccuracies, the British cover does a better job showing the futility of Valance battling Vader. I feel the British cover is the better of the two covers. Funko is best known today for their Pop! Vinyl line of figures. These figures are easily recognizable for their large heads which account for half the height of the figures and their cute look. Most of the figures have other characteristics such as black eyes, small noses, and no mouths, although there are exceptions. The line was originally called Funko Force 2.0, named after an earlier line of vinyl figures known as Funko Force. Funko Force figures were larger and more detailed than Pop! Vinyl figures, but didn't have a distinct style that made the Pop! Vinyl line popular. The Pop! Vinyl figures span a wide range of pop culture icons including real people such as rock and sports stars to fictional characters from television, movies, cartoons, and comic books. Two of the bigger licenses Funko has are for Marvel and Star Wars. Funko has partnered with Marvel to offer a subscription box called Marvel Collector Corps that includes a Pop! Vinyl figure. Marvel has also produced several variant comic covers featuring Pop! Vinyl figures. In recent months, Marvel published two Star Wars comic cover variants featuring figures from this toy line. 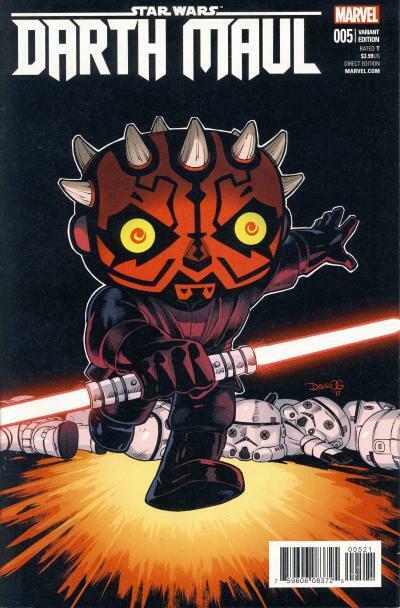 The Darth Maul #5 Funko variant cover shows the Darth Maul Funko figure which was released in 2011. 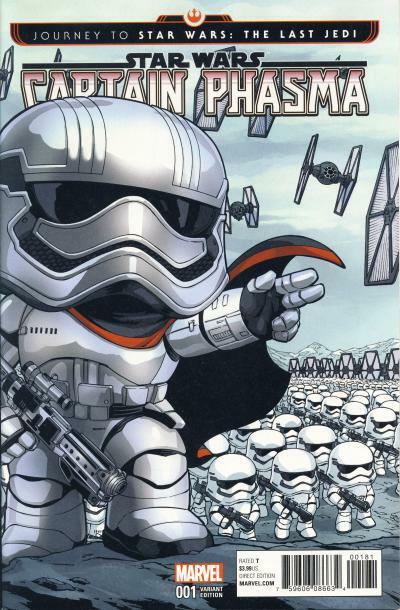 The Captain Phasma and Stormtrooper figures shown on the variant cover for Captain Phasma #1 are both from 2015, the same year The Force Awakens was released. GameStop was created in 2000 when Barnes and Nobles merged newly acquired Babbage's Etc. with their Funco brand and renamed the combination GameStop. In 2004 GameStop was spun off from Barnes and Nobles and the following year they acquired Electronic Boutique (EB) Games to become the world's largest video game retailer. ZING Pop Culture is a retail store that caters to pop culture enthusiasts. ZING is owned by GameStop and it's first store opened in Australia in 2014 and there are now 90 retail locations in Australia. It has also expanded into Europe. Vader Down has 45 different covers. The GameStop retail store exclusive cover is a crashed X-Wing Fighter with Darth Vader's visage in the background. There are shades of blue used on the cover. The GameStop PowerUp Rewards exclusive uses the same cover, except the artwork is in black and white and the smoke coming from the X-Wing has been removed. The ZING exclusive also uses the same cover artwork as the other exclusives and the artwork is in black and white with no smoke. What distinguishes this cover from the GameStop PowerUp Rewards exclusive is the GameStop logo has been replaced by the ZING logo. Interestingly, GameStop owns ThinkGeek which has also released a Star Wars exclusive cover. 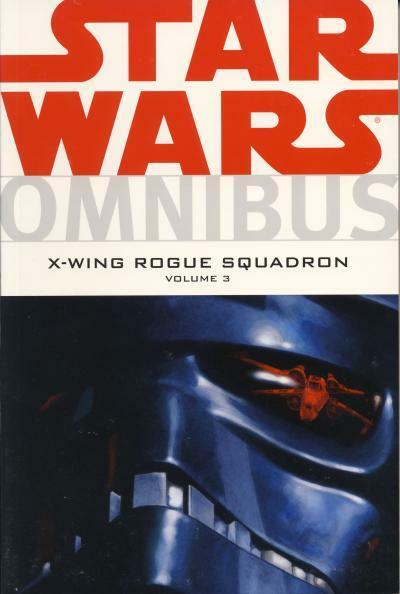 Dark Horse Comics began their Omnibus program in June 2006 with a Star Wars collection. 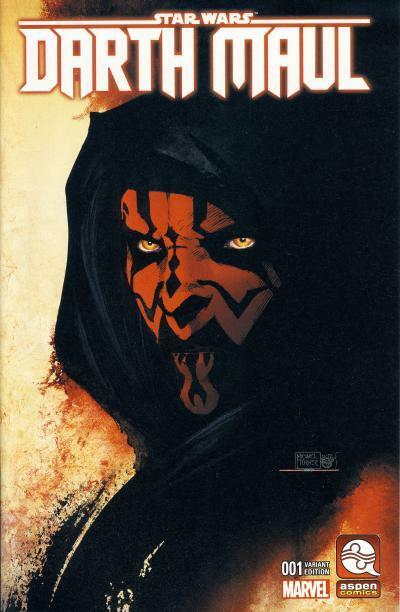 The Dark Horse Omnibus program is not exclusive to Star Wars comics however, but encompasses a wide variety of titles. To date Dark Horse has published 183 Omnibuses. An Omnibus is a logical collection of issues and is an inexpensive way for readers to find harder, out of print material. 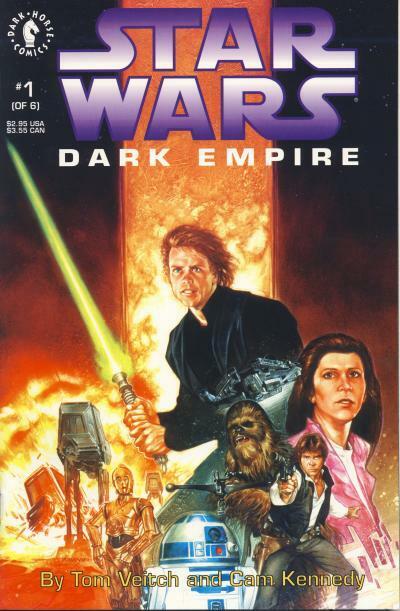 Dark Horse intended for every Star Wars comic to eventually be printed in an Omnibus volume, but when they lost the Star Wars license to Marvel, they fell short of this goal, only publishing 35 Star Wars Omnibuses; the last volume published was Dark Times Volume 2 in May 2014. 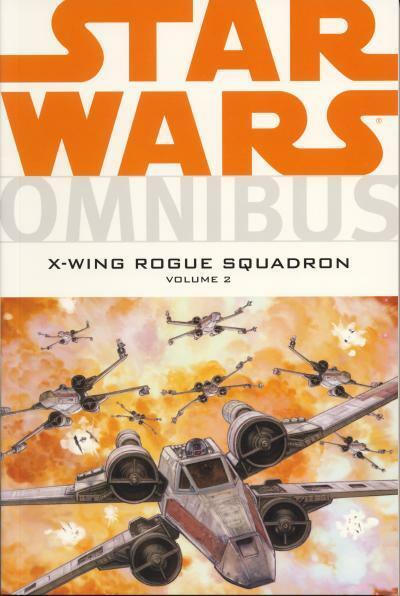 The first three Star Wars Omnibuses collect the X-Wing Rogue Squadron title along with X-Wing: Rogue Leader, the X-Wing Rogue Squadron Handbook, and the X-Wing Rogue Squadron Special. These thick, full color volumes measure 6" x 9" and retail for $24.95. What is terrific about this collection is Dark Horse maintained the same trade dress and low prices for all 35 volumes. 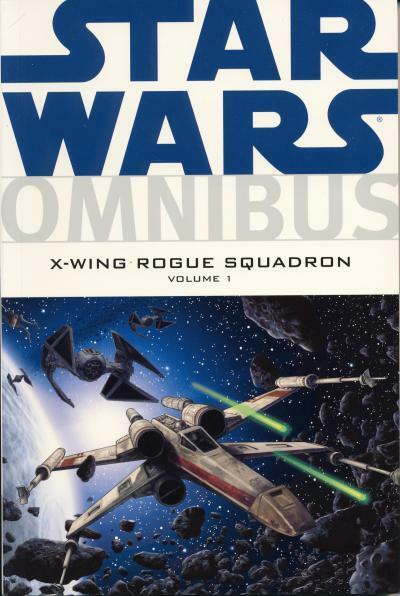 In February 1997 the first Wizard 1/2 issue to contain a Star Wars story was published, Star Wars: X-Wing Rogue Squadron Wizard 1/2. In December 1997 the second Star Wars Wizard 1/2 issue was published, Star Wars: Boba Fett Wizard 1/2. 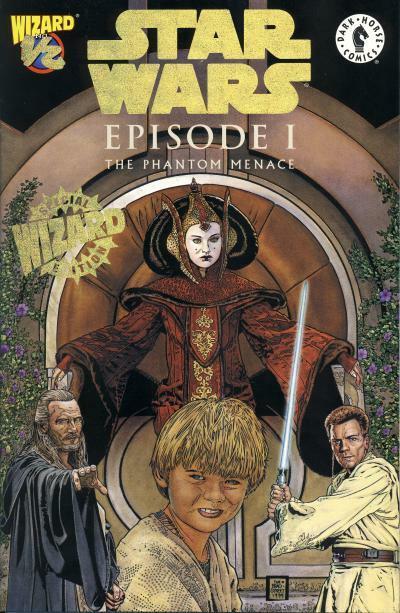 The final Wizard 1/2 issue was published in July 1999 and features four short stories of characters from The Phantom Menace. The first short story begins with Anakin Skywalker asking a spacer about the Angels on the moons of Iego and contains several pages of some of the Boonta Eve Classic racers. The second tale takes place just after Anakin Skywalker won the Boonta Eve Classic and Qui-Gon Jinn teaches Anakin a lesson about tolerance and consequences. In the next story, Obi-Wan Kenobi is reflecting on Anakin's natural Jedi traits exhibited in The Phantom Menace at Qui-Gonn's funeral. The final story is a conversation aboard Queen Amidala's spacecraft between Amidala, disguised as the handmaiden Padme, and Jar Jar Binks. It is implied by Jar Jar at the very end that he knows Padme is really Amidala. Like the other Star Wars Wizard 1/2 issues, the Episode I - The Phantom Menace issue also has a variant edition. The gold edition commands only a slight premium over the regular edition. The regular edition sells for $1 - 3 on eBay with the gold edition selling for $3 - 5. Benecio Del Toro is playing a character named DJ in The Last Jedi and Marvel is publishing a comic based on the character in January. Please visit CBR.com and read the article Marvel Comics Will Reveal Del Toro's Last Jedi Character's Backstory to learn more. 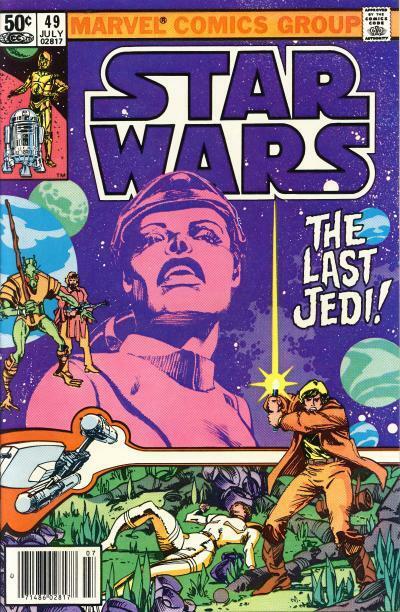 The Last Jedi will be released to theaters in December and it is always fun to speculate on which comics might have been used as inspiration for the movie or if characters from the comics will appear in the movie. A word of caution, while I have not seen the film nor do I have any inside information concerning it, much of this can be construed as spoiler material. If you don't want to be spoiled, please do not proceed with reading this. This is the only comic I am aware of that has seen an upward price movement due to the newest film. Unfortunately, I believe the connection is tenuous at best; the comic is titled The Last Jedi! and so is the movie. If you read the comic, you'll know that is the only connection it will have with the new film. I cannot be the only one who thought about Dark Empire while watching the newest trailer for The Last Jedi. In Dark Empire, Luke Skywalker becomes the apprentice of Palpatine and, by learning about the dark side, a more powerful Luke is able to kill Palpatine once again. Having Rey become the apprentice of Kylo Ren so she can defeat the dark side from within would be a nice nod to this story. Unfortunately, I do not think we will really find out if this comic was an inspiration or not until the third film in the trilogy is released, assuming Rey joins Kylo in The Last Jedi. I know I keep referencing this comic for every new film released, but would it not be cool if Supreme Leader Snoke turned out to be Darth Plagueis? That would tie the sequel trilogy to both the prequel trilogy and the original trilogy nicely. I know the film makers are on record saying it does not matter who Supreme Leader Snoke is and they may just go with some unknown character, but this reveal would reward long time fans and give Disney a great story to tell. 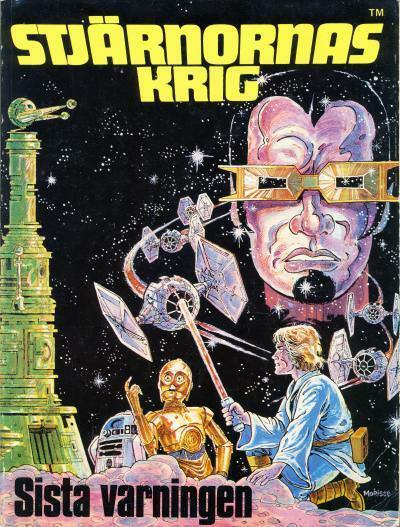 Star Wars is not the first licensed property to have multiple comic publishers at the same time in the United States. The first time I remember seeing multiple publishers was for the Terminator franchise. NOW Comics was the first publisher of Terminator comics from 1988 - 1990. When NOW Comics went bankrupt, Dark Horse held the license from 1990 - 1992 and released several mini-series and a one-shot. Perhaps due to the first and second film in the franchise being produced by different studios, Marvel was granted the license for the Terminator 2: Judgement Day movie and released a 3-issue mini-series in September and October 1991. The next time I remember seeing multiple publishers was for the Star Trek franchise. DC published Star Trek from 1984 to 1996. In addition to publishing adventures for the original crew, they also published comics for The Next Generation. Deep Space Nine debuted on television in 1993 and the publishing rights for this spin-off was picked up by Malibu. DC and Malibu did collaborate on a cross-over story between The Next Generation and Deep Space Nine before the license for all Star Trek series went to Marvel and their Paramount imprint in 1996. The most recent franchise to have multiple publishers is Buffy the Vampire Slayer. Dark Horse began publishing Buffy comics in 1998 and even published a comic based on the spin-off series Angel. Dark Horse gave up the rights to Angel and in 2005 IDW began publishing Angel mini-series and one-shots while Dark Horse was publishing Buffy the Vampire Slayer comics. In 2011 Dark Horse again received the license for Angel. Unlike these other licensing deals, it looks like Marvel, IDW, and Joe Books are not confined to any particular era. Instead, the separation is based on the type of stories told with the Marvel titles aimed at older audiences while IDW is catering to an all-age reader. Joe Books so far has just published fumetti style books in their Cinestory format. 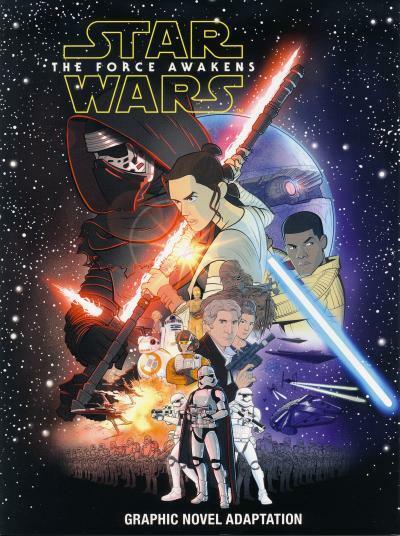 IDW published a graphic novel adaptation of The Force Awakens in August 2017 which was originally published internationally. The IDW version has a different cover than those published overseas. This is the first single adaptation of these international adaptations in the United States. The first six adaptations which were published individually overseas were collected into the Disney-Lucasfilm Press hardcover books Star Wars: The Original Trilogy - A Graphic Novel and Star Wars: The Prequel Trilogy - A Graphic Novel. It isn't clear if Disney-Lucasfilm Press will publish a hardcover collection of the sequel trilogy adaptation when it completes in 2019 or if IDW is now the sole publisher of the all-age material. IDW is publishing the all-age Rogue One adaptation which is due to be released in December. At the Lucasfilm Publishing panel at the New York City Comic Con 2017 it was announced that IDW will be publishing a 5-issue mini-series Star Wars Adventures: Forces of Destiny. The series will be released weekly starting in January 2018. Forces of Destiny is a series of cartoon shorts that focuses on the female characters in Star Wars. The first 8 shorts were released on YouTube in July of this year and more shorts are coming in 2018. Like the Star Wars Adventures title published by IDW, these shorts are aimed at an all-age audience and IDW publishing further stories for this sub-brand makes sense. To learn more, read the Entertainment Weekly article Star Wars Adventures: Forces of Destiny comic will highlight the saga's heroines. Aspen MLT was founded in 2002 by the former Image artist Michael Turner. Turner is best known for his artwork on Witchblade and as the creator of Fathom. Michael Turner died in 2008, but Aspen MLT continues to publish his artwork, mainly by using his unpublished sketches on variant comic covers. 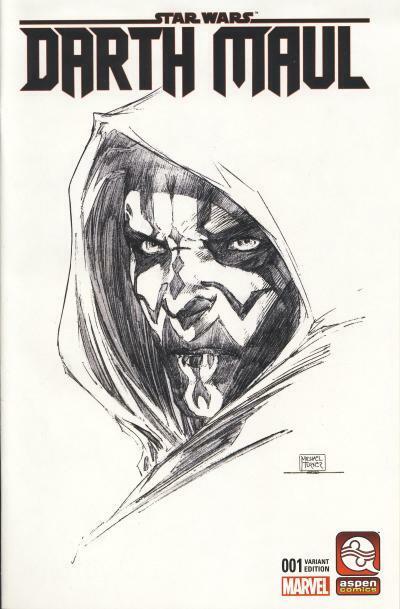 Darth Maul #1 has two variant covers that were drawn my Michael Turner. 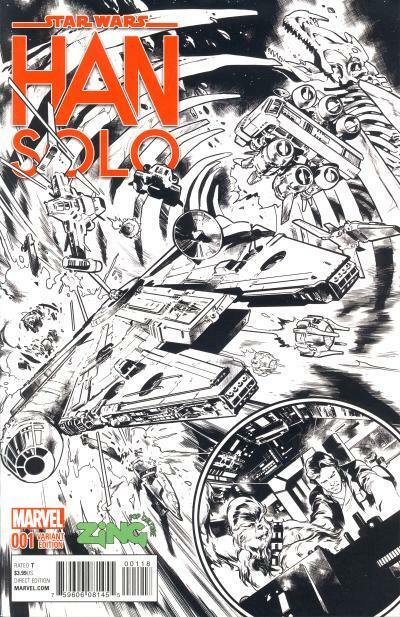 One cover is a black and white sketch and limited to 2000 copies. The other cover is the Turner sketch colored and is limited to 3000 copies. 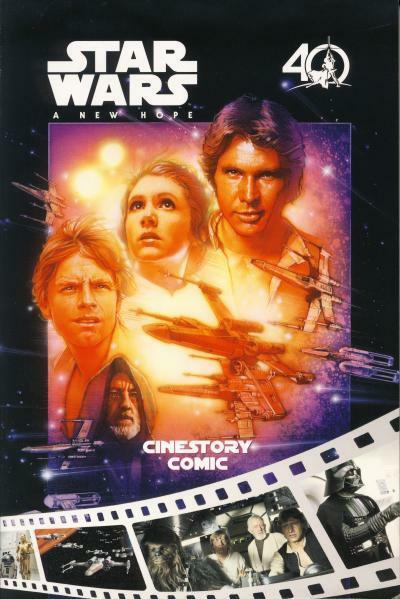 Joe Books has released their second Star Wars Cinestory comic, an adaptation of A New Hope. Like their first comic, this softcover graphic novel is massive, with 376 pages of story. 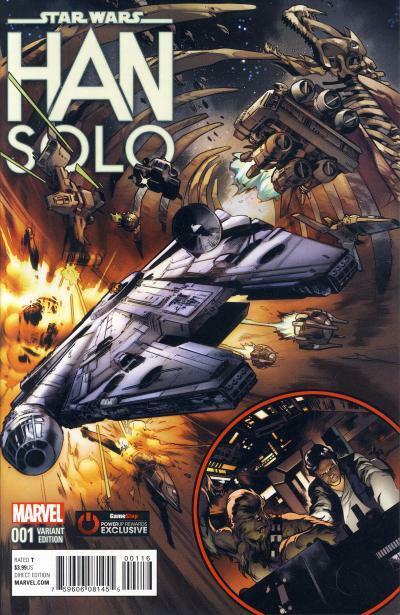 The comic contains images from the current version of the movie, the 2004 DVD release. This book is priced at $19.99 which is $5 more than the Rebels Cinestory comic. This comic is in color and the images are slightly sharper than the first Cinestory comic, although the photos are still dark. There is another hardcover "Collector's Edition" of this book that will be released in November and an adaptation of The Empire Strikes Back is already pre-orderable on Amazon. The front cover is the artwork from the Star Wars Special Edition poster and along the bottom are images from the movie. The 40th anniversary logo is opposite of the title. 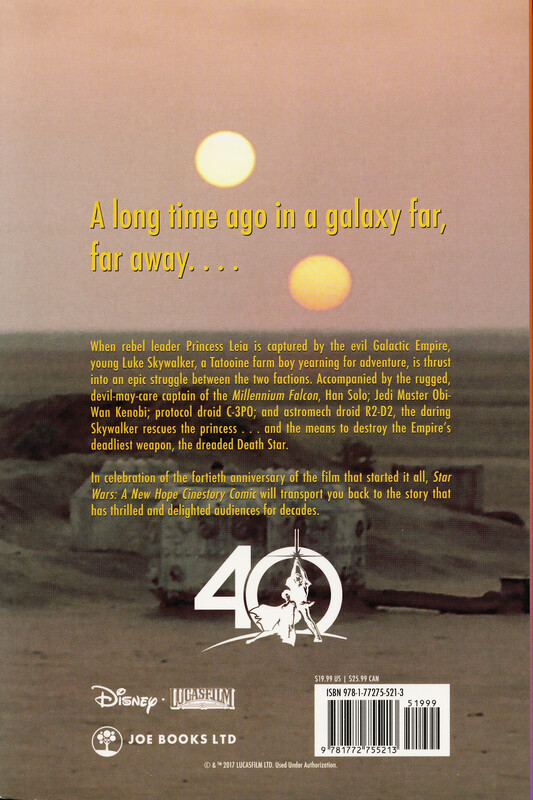 The back cover has a brief description of the story and the 40th anniversary logo is more prominent. Disney and Lucasfilm logos are shown along with the Joe Books logo. The background is a photo of some generators near the Lars Homestead. The fourth album released by Semic Press for Swedish readers contains The Empire Strikes Back adaptation. 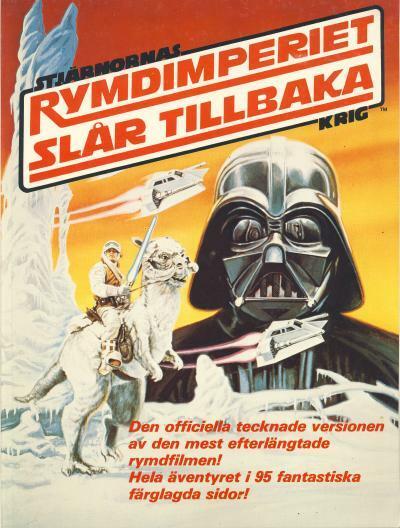 Rymdimperiet Slår Tillbaka uses the same cover found on the Marvel Comics Illustrated Version of The Empire Strikes Back paperback and Marvel Super Special #16. The corrected version of Yoda is found on the interior pages.